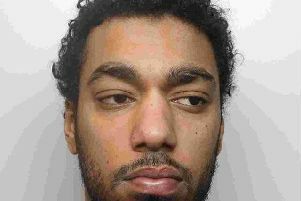 North Yorkshire Police say although the identity of the man is unknown, officers believe he could have connections to the Harrogate, Leicestershire and London areas. The investigation follows an incident in the Unity Grove and Skipton Road area on October 20. A total of seven people have been arrested in connection with the incident to date. Two men have been charged with attempted murder, wounding and assault. They are currently awaiting trial. The remaining five have been released without charge. If anyone recognises this man they are asked to contactNorth Yorkshire Police on 101, select option 1 and pass information to the Force Control Room.